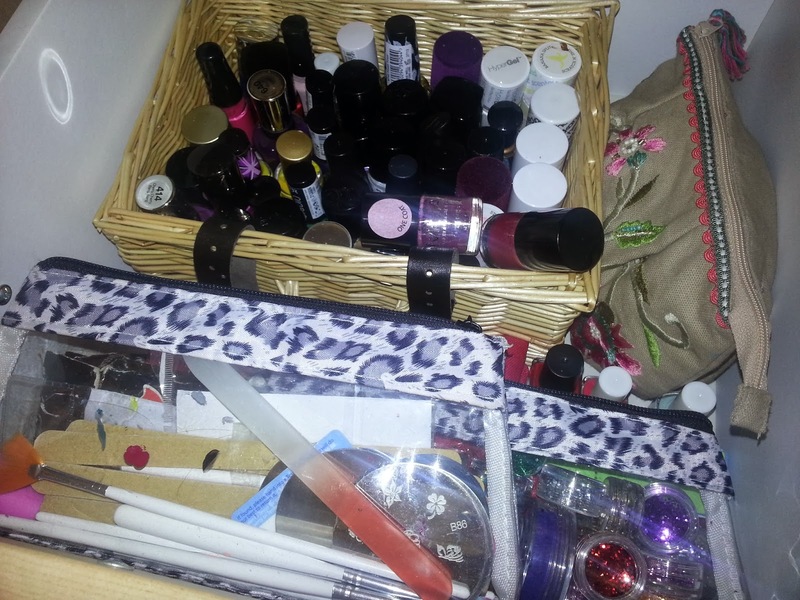 Lozzy Loves Lippy: Nail Polish Fumes are Affecting My Brain! Nail Polish Fumes are Affecting My Brain! Dramatic title Alert! A bit of an off topic background to this, it starts off quite depressing but stick with it, it will get better. ; I broke my leg just before Christmas, after having surgery on my fibia to become the bionic Woman and spending an agonising week in hospital, I was told i'd be non-weight bearing for 6-8 weeks. Now, my flat is up 2 small sets of outside steps and 2 flights on stairs with no life (escalator) which basically meant when I got home I'd be stuck there (short of hospital visits where I had to be carried in and out but that's another traumatising story) with my little Zimmer frame (apparently my balance is too crap for crutches). I needed something to occupy my time. I toyed with the idea of learning another language or brushing up my French or Irish but I couldn't be bothered so I thought what else do I enjoy that i'd like to get better at so I came up with nail art! I started out with about 5/6 nail polishes because I have an awful habit of losing things and those were the colours I actually used and hadn't lost. My boyfriend ordered me some nail stripers, dotting tools and glitter from amazon as a kind of 'yay you are out of hospital now, cheer up present (hospital was that bad!) 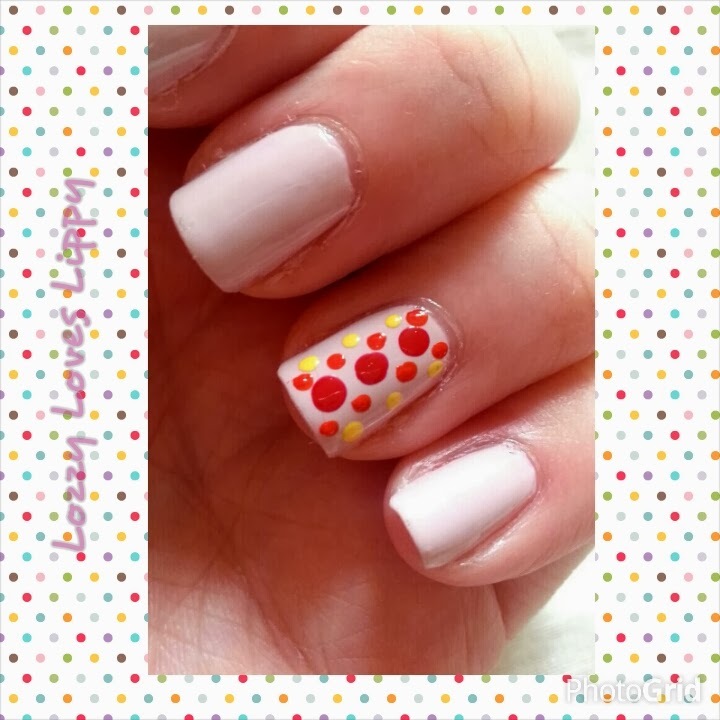 and off I went trying to create some nail designs. I then decided that I needed more actual nail polishes to be base colours so I started to purchase some more, and some more and some more so now, 9 weeks later, I have at least 50 nail polishes, lots of glitter, nail stripers and stamps with the collection growing every week. I've created a monster!! Some of My Collection, forgive the shoddy pic they are in a drawer. You might think 'well that's not an awful lot, especially for a beauty blogger', but remember within the space of about 8 weeks my collection multiplied x10 then there are the removers, nail treatments, top coats, base coats etc, It's taking over my house! I had to move a chest of drawers from the spare room into my room just to house my nail and makeup collection (now that is another story). Not only has the damn stuff taken over my house, it has started to occupy a large space in my brain. It started out with occupying my time painting my nails daily and watching nail art tutorials on YouTube and went on to thinking about nail art designs and colours I would buy when I should be asleep, now I am basing a whole outfit for a wedding around a colour of Nail Varnish I have! Oh and I'm still not very good at actual Nail Art but at least I can colour within the lines now! Is this normal? I don't think it is. It's just as well that I never claimed, nor wanted to be normal so I love it really!! Are Any of you the same? Nail polish junkies, beauty junkies? Has it taken over your home/brain/life? Let me know in the comments below or on twitter/facebook/instagram/bloglovin etc..